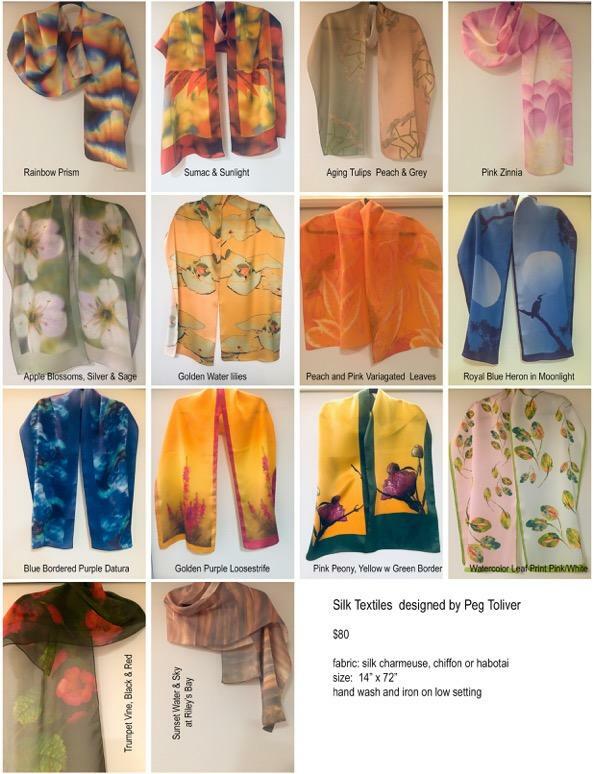 In 2004 I began painting and dying silk fabric. I fell in love with the pure spectrum of translucent colors that radiated from shining silken fibers. 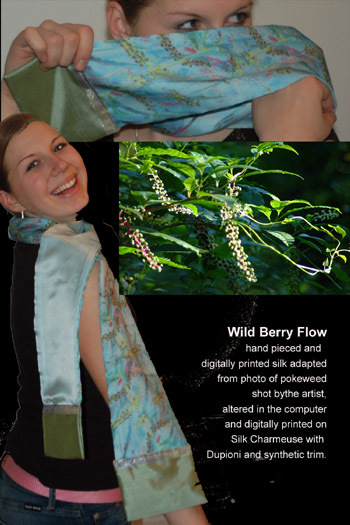 Since that time I have experimented with combining my love of nature photography with textiles, designing silk wraps or wall hangings using digital technology to create wearable art. Like a photograph, silk is luminescent; the light is part and parcel of the medium. 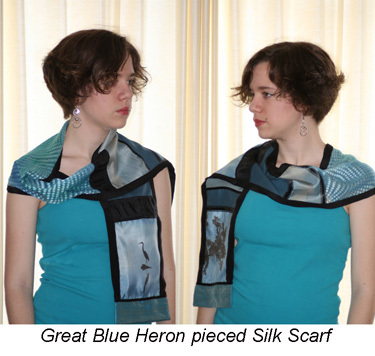 I select imagery, patterns or textures in my nature photos and layer and edit them on the computer to arrange my nature imagery into pleasing visual designs that come alive on the surface of draped silk fabric. 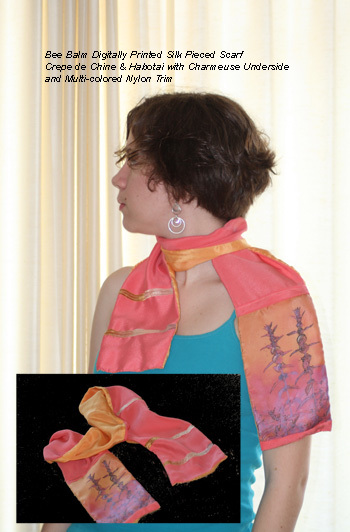 These silk items are 14” wide x 72” long and are produced in very limited editions. They are available for purchase through the artist peg@pegtoliver.com. The color can be customized. 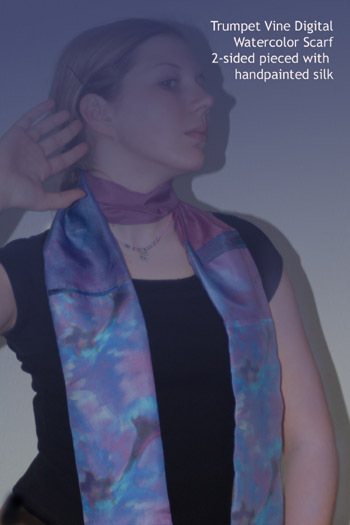 The designs are printed on natural silk fabric with textile inks and heat set for long lasting color. They can be washed by hand in cool water, rolled in a towel to remove excess moisture, then ironed on low setting.